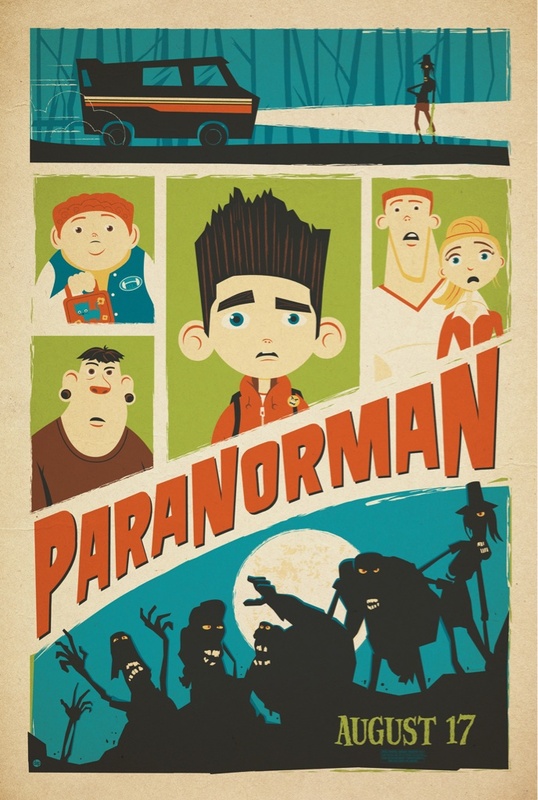 This is a poster I did through Mondo for Laika Films upcoming movie "ParaNorman" that will be released in theaters August 17th. Myself, along with some other great artists, were commissioned to make these posters that are now being used as a viral marketing campaign. They are being hung up in cities across the US, and if you see one you can just take it! I saw one of these today. I didn't know I could take it! I absolutely love your poster. It's the best! Wish that I'd see one. I'd definitely take it! I'm no where near a downtown-ish area, so chances are pretty slim I'd see one of these. But, if I do, I'm totally jacking your poster. Your art is brilliant.